Blaeberry Bee. Image by Ben Darvill. Bumblebees are among the most endearing and familiar of garden insects. The sight and sound of bees droning methodically from flower to flower is a quintessential part of a summer’s day. Sadly, these affable insects are struggling to survive in a modern world of habitat loss, pesticides and intensive agriculture. There are about 250 known species of bumblebee worldwide, 25 of which are native to the UK. Unfortunately, three of the UK’s species are already extinct, two are critically endangered and several more are heading that way, unless we act quickly! Why not spend some time this August seeing how many different species of Bumblebee you can find? Better still why not take a few photos and help the Bumblebee Conservation Trust increase their knowledge about them. In order to conserve our bumblebees, it’s crucial that we understand them. 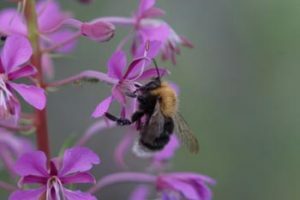 The Bumblebee Conservation Trust have a fantastic identification guide on their website and welcome information and photos of your sightings. Your sightings will form part of Beewatch. You can also help the Bumblebee Conservation Trust by keeping your eyes peeled for specific bees. 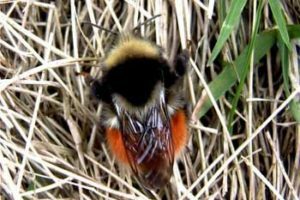 In particular the BBCT is asking hillwalkers and mountaineers to let them know if you spot a Blaeberry bumblebee, for more information click here.